Given the declaration of a structure whose tag is DATE write the declaration of the following variables enrolled_on, paid_on, and completed_on, each of which is of type DATE. 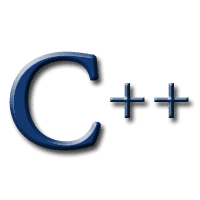 Write a function max that has two C string parameters and returns the larger of the two. Assume that x is a variable that has been declared as an int and been given a value. Assume the availability of a function named oneMore. This function receives an integer and returns one more than its parameter. So, pass oneMore(12 ) and it will return 13. Write a for loop that prints the integers 1 through 40, separated by spaces or new lines. You may use only one variable, count which has already been declared as an integer. Write the definition of a function named fscopy that does a line-by-line copy from one stream to another. Consider this data sequence: “3 11 5 5 5 2 4 6 6 7 3 -8”. Any value that is the same as the immediately preceding value is considered a CONSECUTIVE DUPLICATE. Declare an fstream object named a_log. Using a_log, check if the file activityLog exists. If the file activityLog does not already exist, open it for writing using a_log; otherwise open the file activityLog2 for writing using a_log. Write the definition of a function square, which receives an integer parameter and returns the square of the value of the parameter. Write the definition of a function half, which receives an integer parameter and returns an integer that is half the value of the parameter.